San Francisco Giants catcher Buster Posey announced Friday he's set to undergo season-ending surgery on his hip Monday. The procedure comes with a six- to eight-month recovery timetable. "So if things go smoothly with no hiccups, I'll be ready to go next Opening Day," Posey said, via Chris Haft of MLB.com. The 31-year-old Georgia native missed three of the Giants' past six games because of the injury. San Francisco has struggled to remain on the fringe of playoff contention. Its 63-67 record leaves it nine games behind the Arizona Diamondbacks in the National League West and the same amount behind the Milwaukee Brewers for the NL's second wild-card spot. The Florida State product will finish the 2018 season with a .284/.359/.382 triple-slash line and five home runs across 105 appearances. Nick Hundley will get a lion's share of the starts behind the dish for the Giants moving forward. 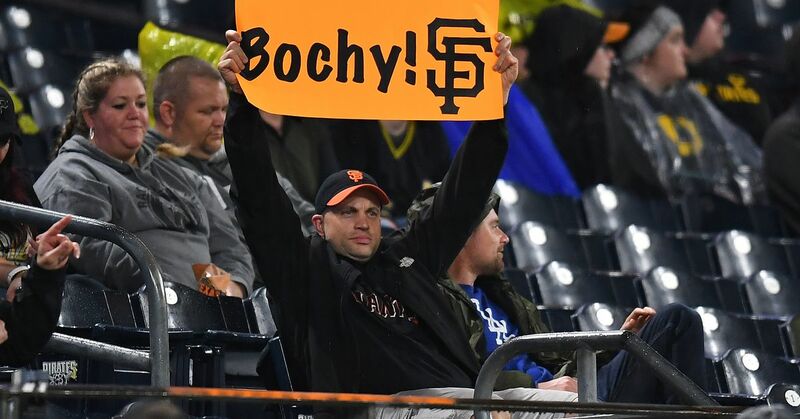 Posey, who's resume includes three World Series titles, the 2012 NL MVP Award and six All-Star Game selections, will be in a race against time to get ready for the 2019 campaign. If he's ready by the beginning of the timeline, he'd miss only a small portion of spring training, but if it takes the full recovery period, he'd miss the first month of the regular season.